Heat half of the olive oil in a large, deep skillet over medium high. Place meat in a large bowl and sprinkle with the flour, salt and pepper. Toss to coat. 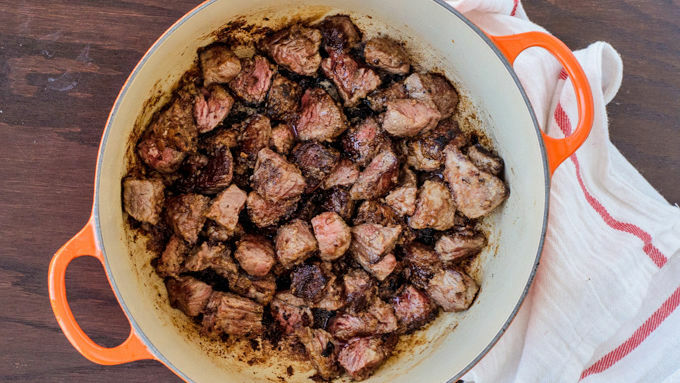 Place half of the meat in the skillet and brown, not disturbing the meat too often, turning and continuing to cook until most sides are brown. Set the first batch aside to a plate. Heat the remaining olive oil in the skillet, brown the rest of the meat, then transfer both batches to a 6-quart or larger slow cooker. In a small bowl, stir together the Worcestershire, mustard, garlic, rosemary, and thyme. Drizzle over the beef. Add the carrots, potatoes, celery, and onions to the slow cooker, then pour the broth and beer over the top. Cover and cook on Low for 10 to 12 hours or High for 4 to 6 hours. 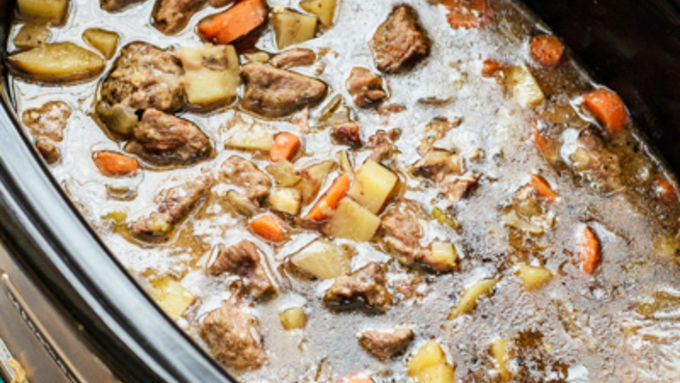 A hearty beef stew that tastes great with a Guinness™! This Irish stew is a delicious and incredibly easy feast for your St. Patrick's Day celebration. Every St. Patrick’s Day, I forsake my married name. You see, I was born “Erin O’Neill,” and I’ve always loved how proud and Irish it sounds. Sure, “Clarke” is just fine – inoffensive and not terribly difficult to spell – but I do miss the clear connection to my heritage. For this reason, every St. Patrick’s Day I make a special point to celebrate that heritage – and to wear my favorite emerald green high tops. No matter my last name (or yours! ), St. Patrick’s Day gives us all good reason to celebrate with full Irish flair. 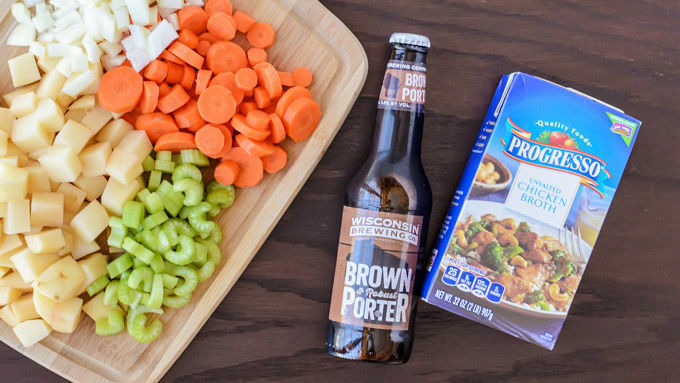 Wear your green, grab a Guinness™, and let’s make a big pot of Slow Cooker Irish Stew! 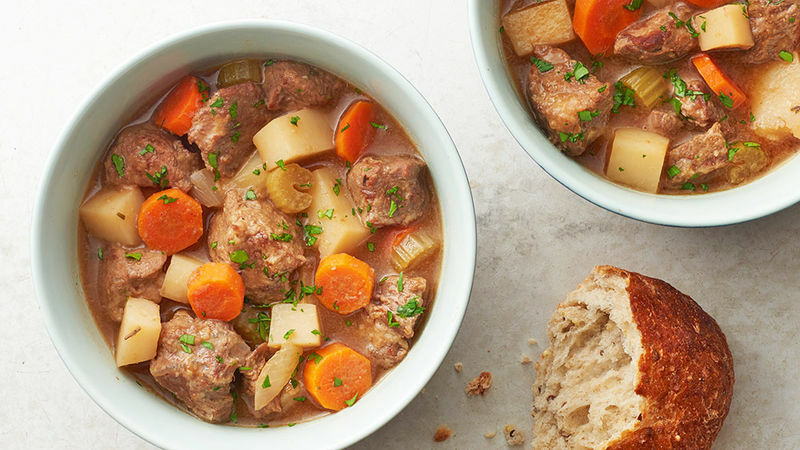 No matter your heritage, this simple and hearty slow cooker stew is sure to become a fast favorite in your home – on St. Patrick’s Day or any day!